A Butte bail bonds agent is available to help get you or a family member out of the Silverbow Detention Center at any time of the day or night. Our Butte bail bonds office never closes! We are your number one choice for freedom in Butte. We provide more than affordable bail that’s able to get you released as fast as possible. We’ve gone ahead and put some information together to help answer some questions about the booking and bail process in Butte. We hope with this information, it empowers you to take action and secure the release of a loved one. Has someone you know been arrested in Butte and on their way to the Butte-Silver Bow Detention Center? Once a defendant enters the detention facility they are booked, fingerprinted and photographed. The intake process will also conclude with a series of guilt-seeking questions, so it’s important that the defendant get bail right away before they say too much to law enforcement. Call us as soon as someone is arrested in Butte! We are mere minutes away from the jail and can write any amount for any Butte bail bonds. 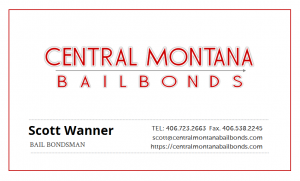 If you see any changes that need to be made to this Butte bail bonds page, please send a message below using the contact form provided. Central Montana Bail Bonds CMBB Butte Bail Bonds agents proudly serving the residents of Montana in need of cheap bail 24/7/365 fast!